Police said a police officer who was shot during a robbery on December 7 was shot by a fellow police officer during the incident. Investigators from the Prince George’s County Police Department said forensic analysis showed a District Heights officer was struck from a round fired by Cpl. Kenneth Meushaw while they were stopping a suspect car. 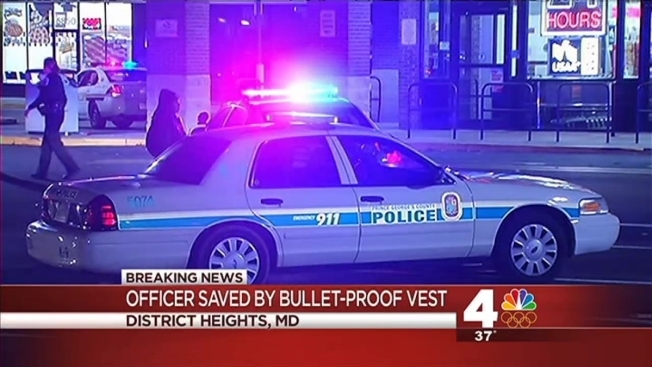 The officer was hit but not seriously injured, thanks to his vest. Investigators said the officers approached the suspect’s car on opposite sides at an apartment complex on Parkland Court. During an exchange of gunfire with those in the car, the District Heights officer and Meushaw both fired their service weapons. One suspect was hospitalized with life-threatening injuries.